Hand tossed pizza with 100% mozzarella cheese! Serving Wilshire Blvd. 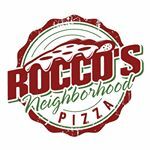 since 2000, Rocco's Pizza has been making hand-tossed pizzas with their homemade dough, made fresh all day, every day! Adding some secret pizza sauce and 100% mozzarella cheese, Rocco’s does the east coast style here on the west coast! Bring your friends and family and come enjoy some fresh delicious pizza today!